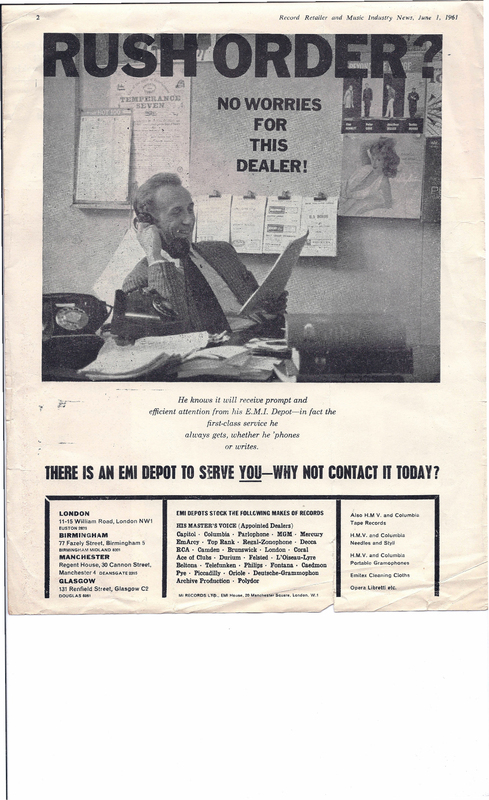 EMI – NO WORRIES FOR THIS DEALER! Many thanks to the ‘The Alan Warner Archive’ for kindly supply The Hound this fine image. This entry was posted in HISTORY OF RECORDED MUSIC, Uncategorized and tagged 1961, alan warner, EMI, record recorder by Nipper. Bookmark the permalink. No worries has become Now Worries – sign of the times?! Capt Mannering : Well spotted David, I wondered when you’d notice that.